AV PREMIUM is a safe wáter-based, non toxic and highly versatile airbrush ready paint, suitable for all surfaces, but especially formulated for superior adhesión to metals, fibreglass, polyethylene, clear Lexan polycarbonate, slot car and RC bodies, and all tunning and automovile applications. Auxiliary product to improve the finish achieved with your Metal Colors. A selection of 8 permanent metallic colours for fine arts, restoration, decorative arts and hobby painting. 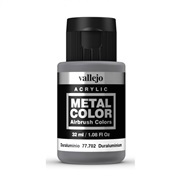 Formulated with metallic pigments, soluble only in alcohol, these colors are infinitely more brilliant than their waterbased counterparts, and absolutely durable and light fast. 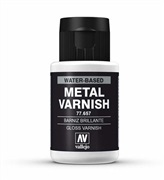 Hybrid varnish formulated with an acrylic-urethane dispersion. Quick protection for painted models. Mediums for the mixed one of colors, with the aptitude to increase the properties typical of each one. Liquid Mask is used to reserve areas which are to remain unpainted. Airbrush Cleaner is an indispensable product for cleaning the airbrush between colors. Softens and restores all fine sable brushes used for watercolors, miniatures, silk painting etc. Transparent dense gel, perfect for shallow water on colored grounds, especially apt for rivulets and white water. Bright blue gel for Mediterranian dioramas, rivers and lakes. Dark blue gel for Pacific Ocean dioramas, and for rivers and lakes. Dark bluegrey gel for Atlantic Ocean diorams, and for rivers and lakes.